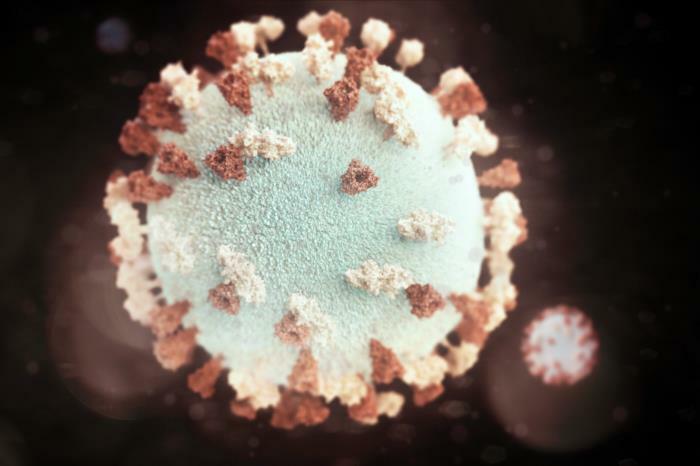 This illustration provides a 3D graphical representation of a spherical-shaped, mumps virus particle that is studded with glycoprotein tubercles. The studs colorized reddish-brown, are known as F-proteins (fusion), and those colorized beige, are referred to as HN-proteins (hemagglutinin-neuraminidase). A member of the genus Rubulavirus, the mumps virus is the pathogen responsible for causing mumps in human beings, with an average incubation period of 16 to 18 days, and ranging between 12 to 25 days. - the second dose at 4 through 6 years of age. Please see the like below, for more information on mumps.